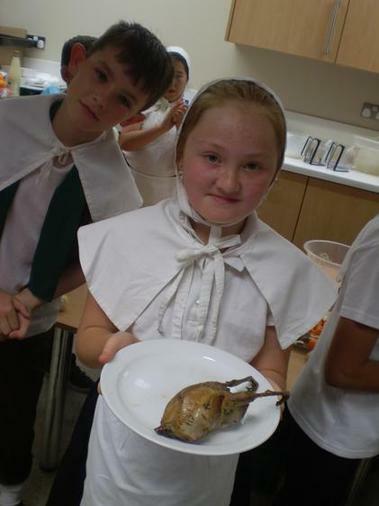 Today, our Year 5 children experienced a day in the life of Tudor people; some as rich Tudors and others as poor. 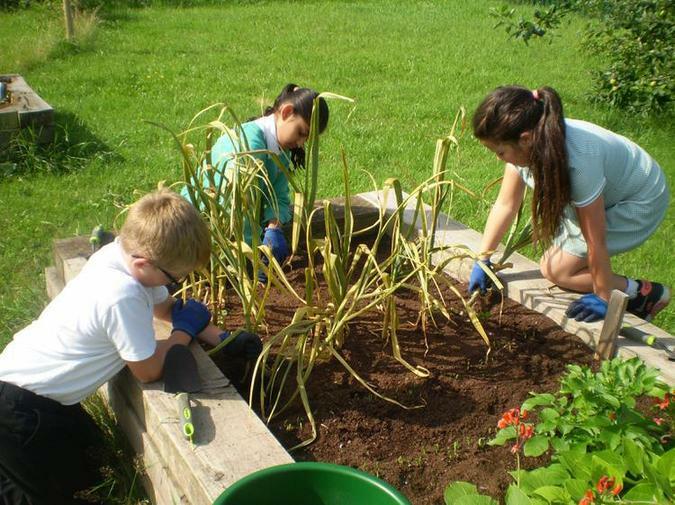 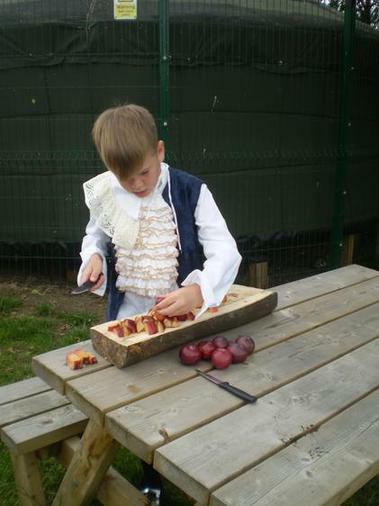 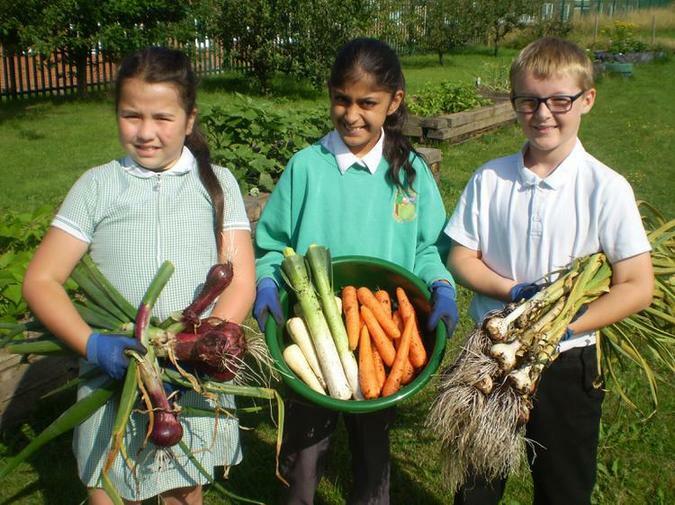 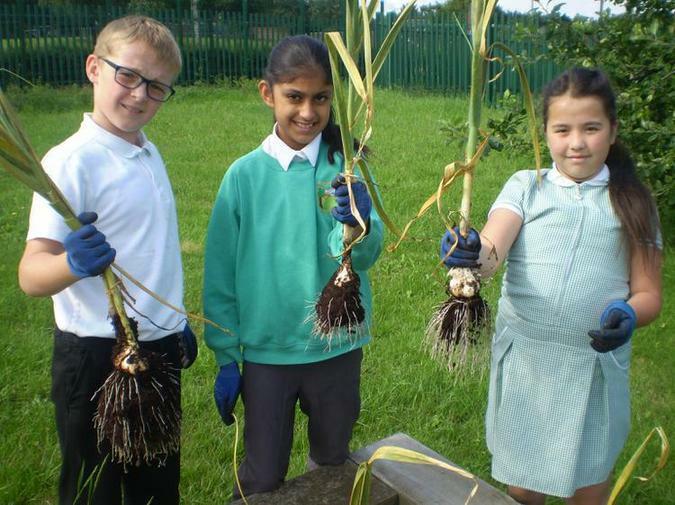 In the days before our Tudor day, the children had picked home-grown vegetables from our own Orchard to use in their cooking. 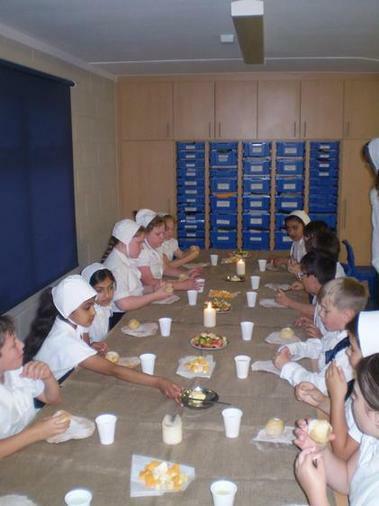 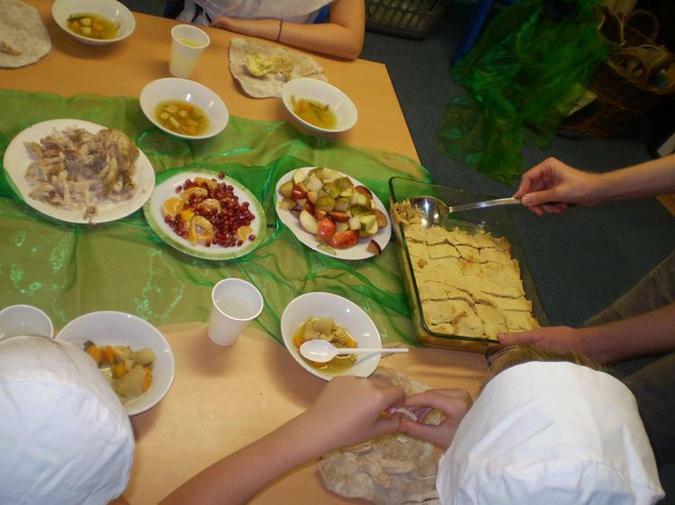 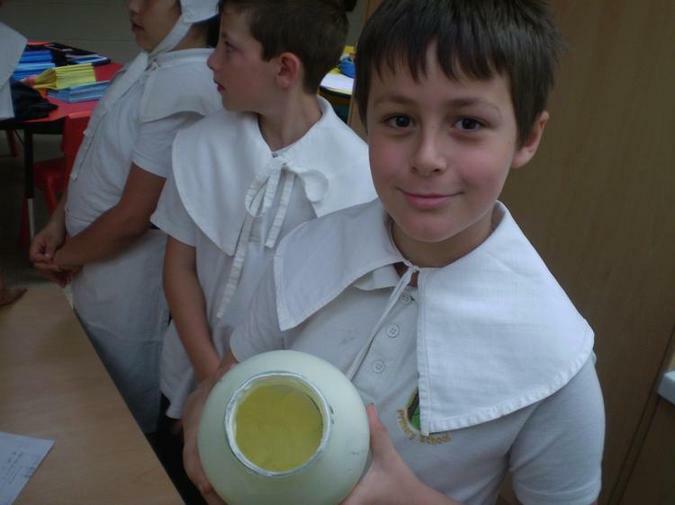 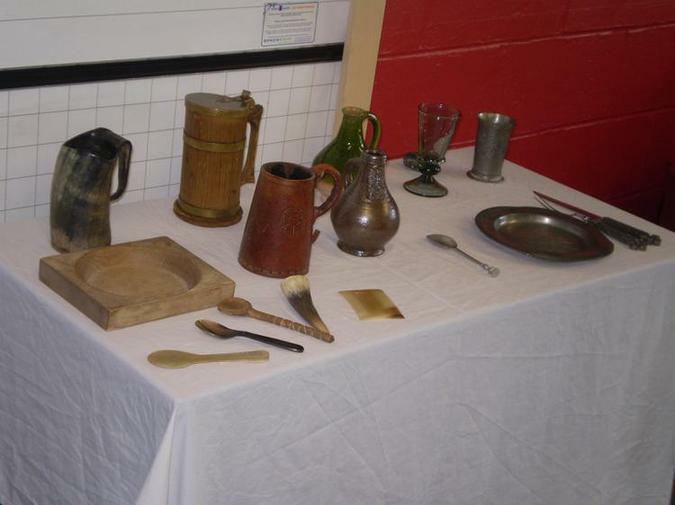 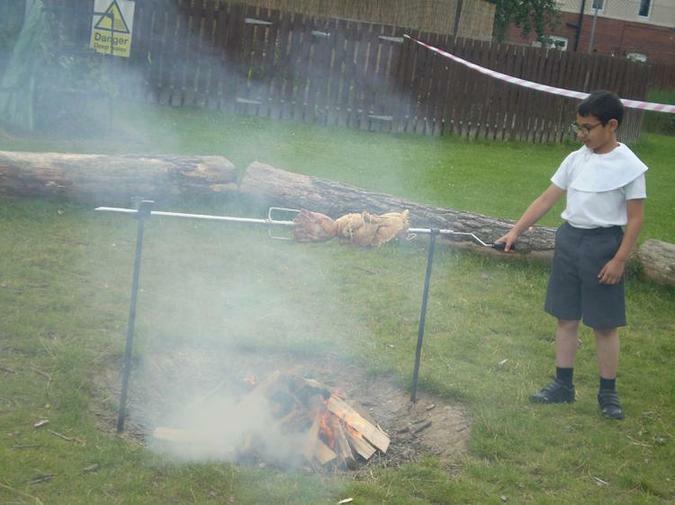 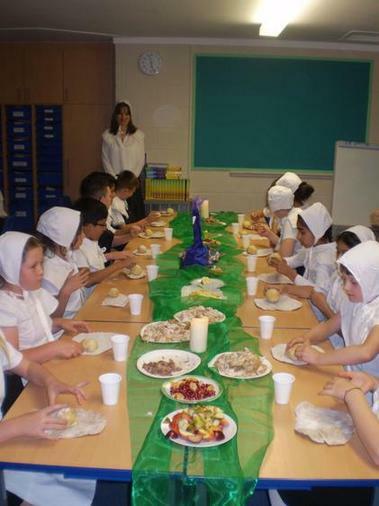 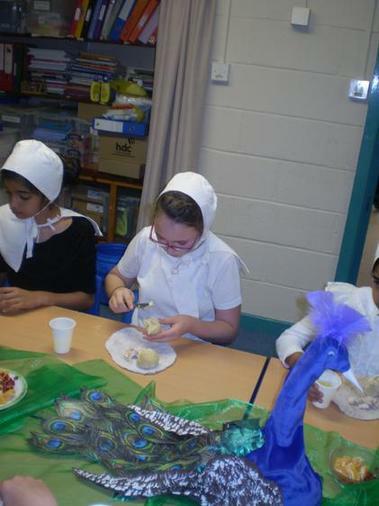 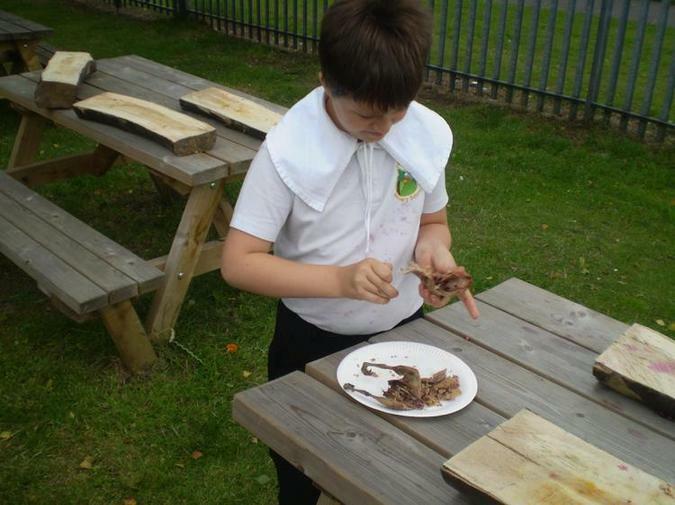 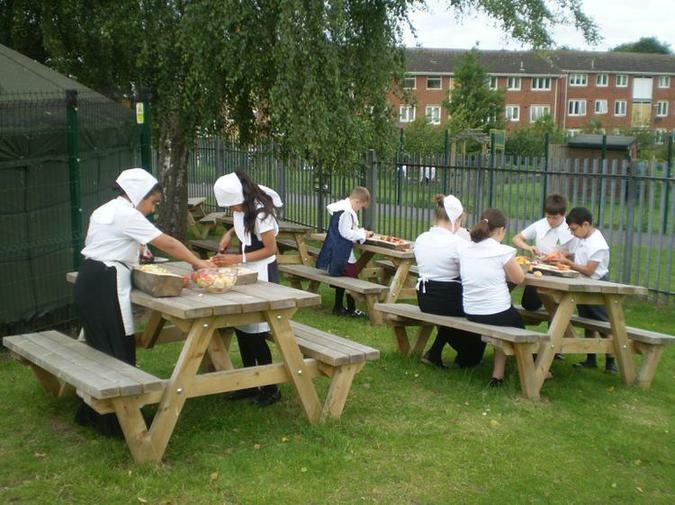 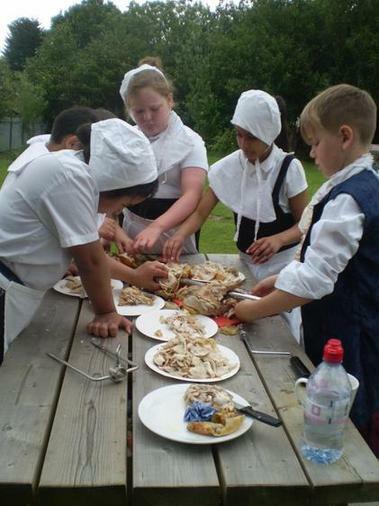 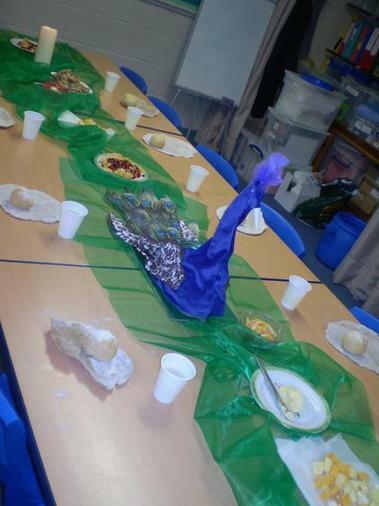 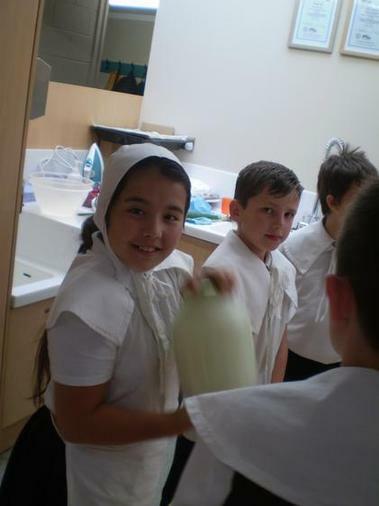 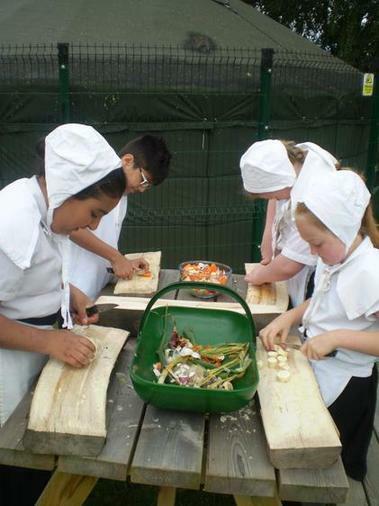 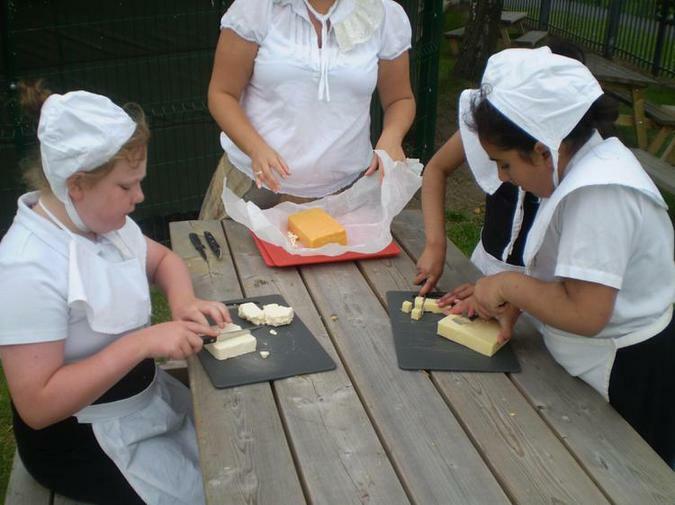 The poor Tudors were tasked with the job of cooking various dishes, ranging from pottage for the poor, to rabbit and veal pie for the rich; all of which the Year 5 children later ate for their lunch. 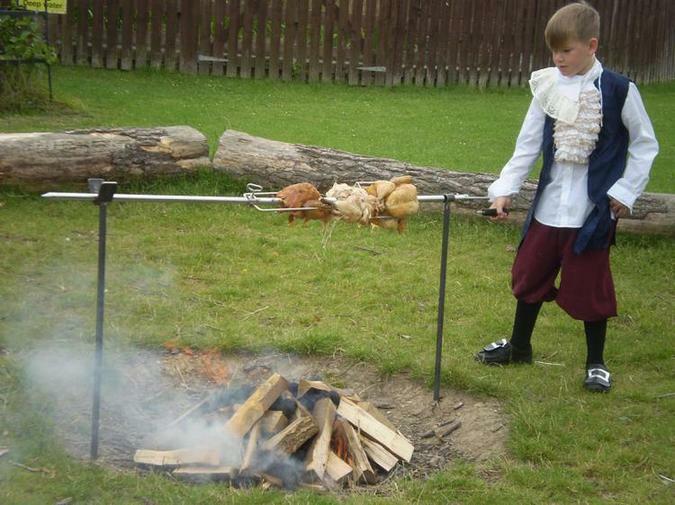 They had cooked the birds for the dishes on the spit-roast and churned their own butter for their homemade bread. 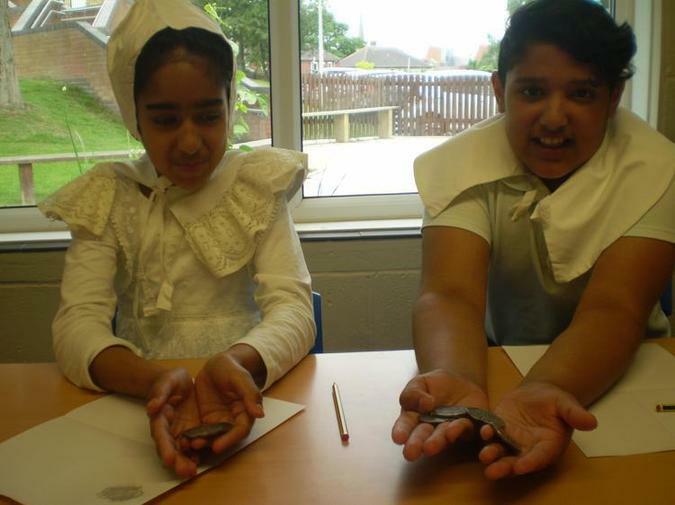 In the meantime, the children from the rich Tudor group were drawing artefacts from Tudor times and identified the key characteristics of them. 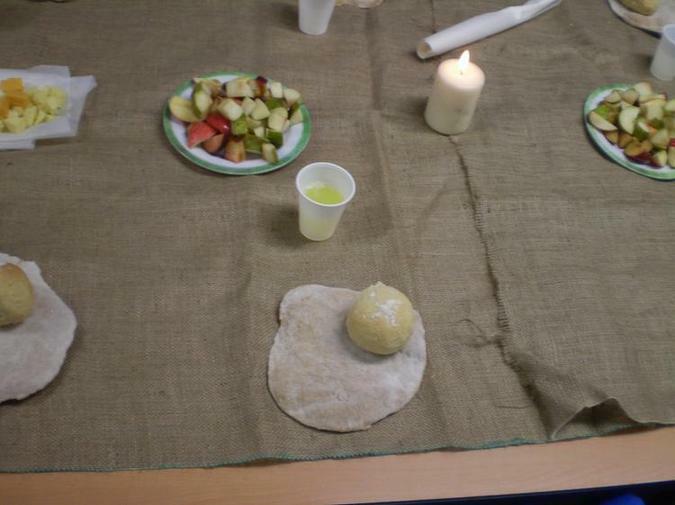 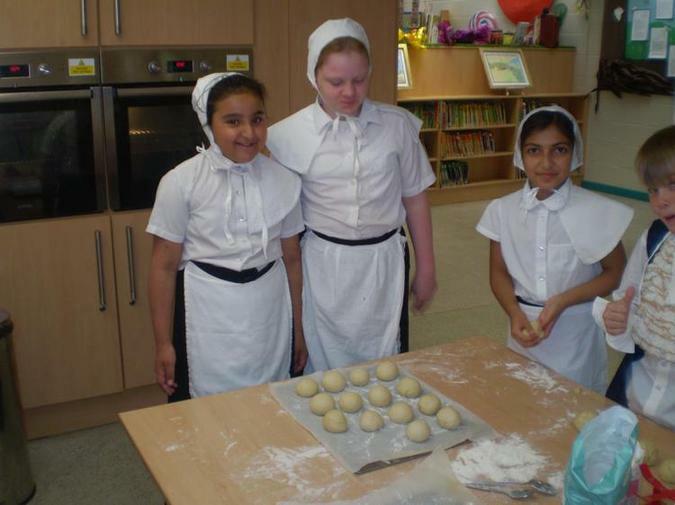 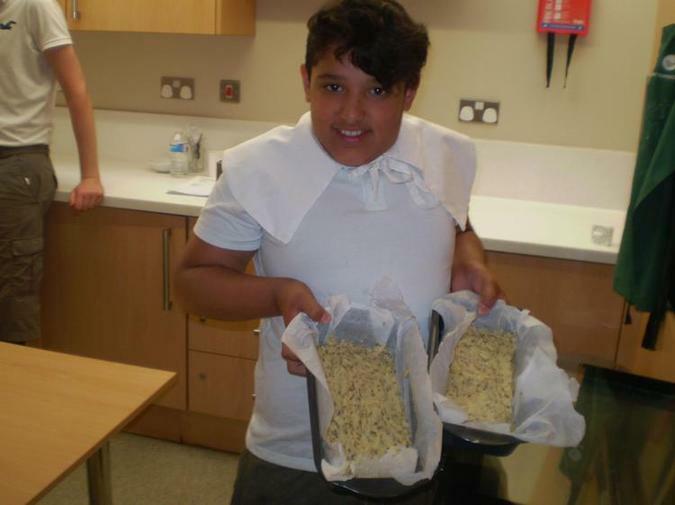 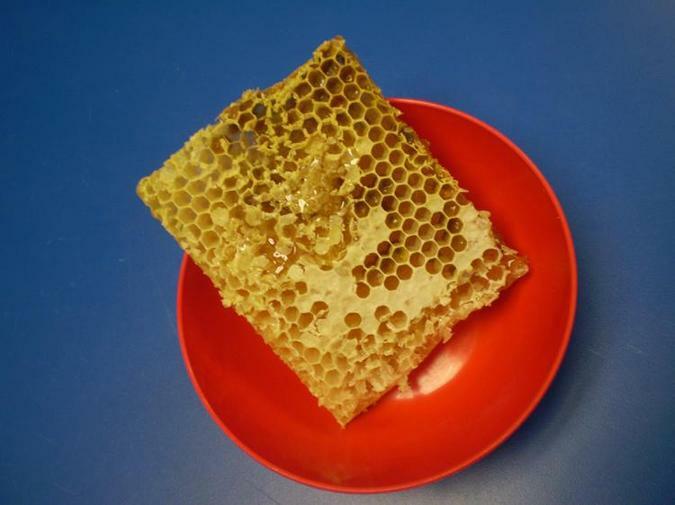 After our lunchtime banquet, half of the rich children baked the marchpane with honey from our own beehives, while the other half of the rich children baked the caraway seed loaves. 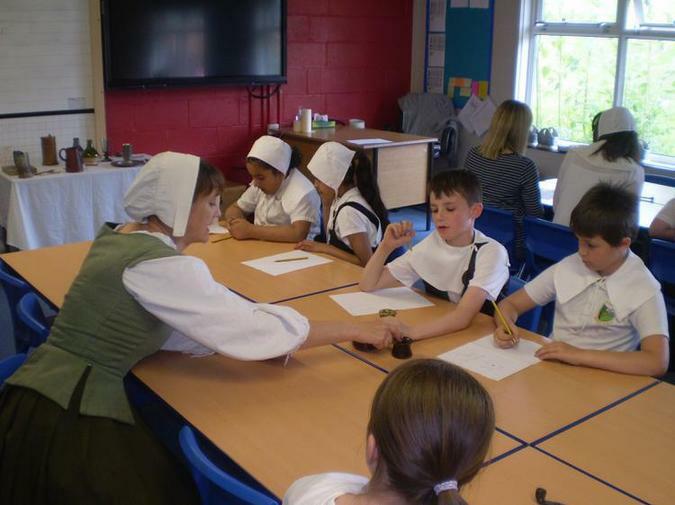 The day ended with some traditional Tudor dance.